The 5th general release bottling from Islay's farm distillery. Another small batch release for Winter 2010. Matured for over 3 years in fresh bourbon barrels. Nose (90): strong. peat, grass, pears, citrus. Taste (91): oily, powerful. peat, sweet, malt, citrus, floral. Finish (90): long. peat, floral, citrus. 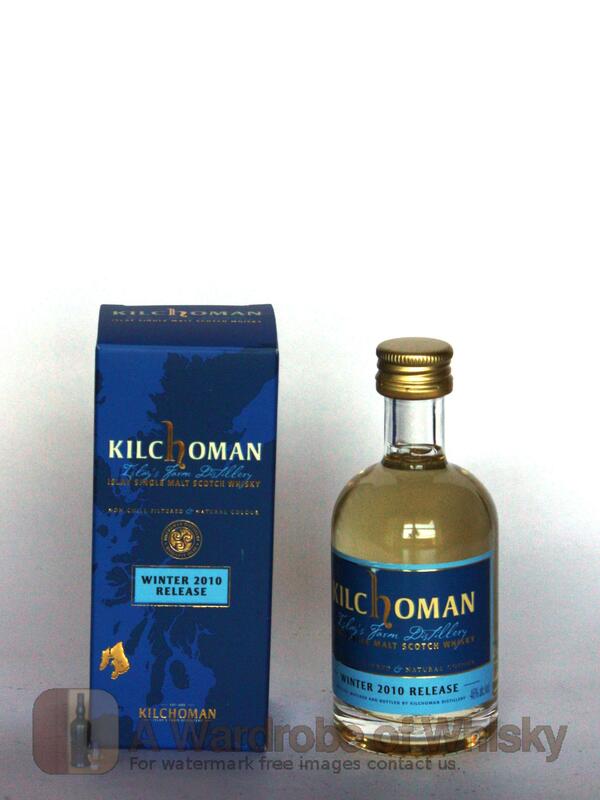 These bottles have been chosen over others because their nose, taste and finish are more similar to Kilchoman Winter 2010 Release than the rest. Go to Whisky-o-matic page to fine tuning other settings.